Claiborne Farm and Adele Dilschneider’s Chide breezed a half-mile in :48.80 Sunday morning after the renovation break in preparation for Saturday night’s 40th running of the $100,000 Dogwood – the feature event on an 11-race Downs After Dark night racing card that begins at 6 p.m. ET. The 3-year-old daughter of Blame was fifth beaten 7 ¼ lengths in the Coaching Club American Oaks (GI) at Saratoga on July 26. Stall stated that the Dogwood would be a good chance for his filly to take a cut back in distance. 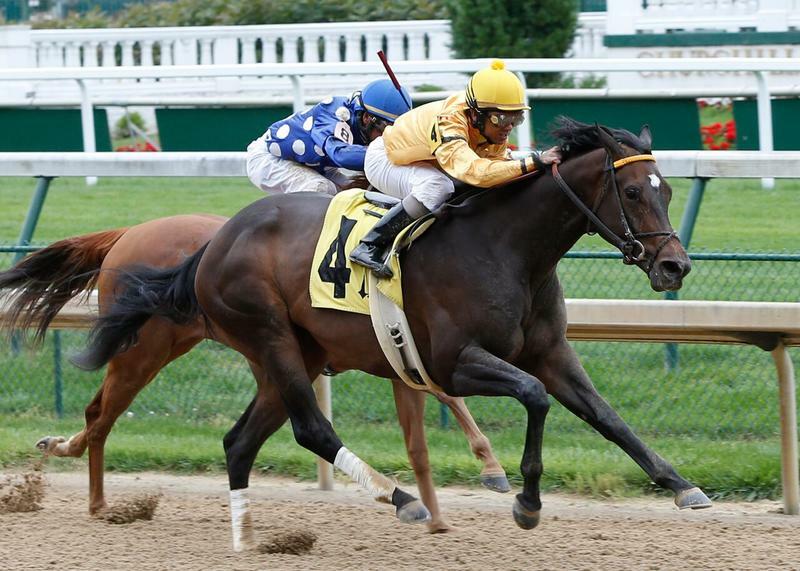 Chide, a homebred, will be seeking her first victory against stakes company. Aside from a fifth in the Coaching Club American Oaks, she ran third beaten 3 ¾ lengths in the Mother Goose (GI) at Belmont Park. In five career starts, she has two wins on her résumé; a maiden victory at Oaklawn and an allowance at Churchill Downs. Jockey Shaun Bridgmohan, the pilot in both victories, will have the mount in the Dogwood. Another probable for the Dogwood is Charles Fipke’s Pleasant Tales,who worked a bullet half mile in :47.40 Sunday. The daughter of Tale of Ekati worked in company with her stable mate Tale of Verve for trainer Dallas Stewart. She was last seen running a well-beaten ninth in the Test (GI) at Saratoga. Tale of Verve, last seen finishing a well-beaten eighth in the Travers (GI) at Saratoga, is being pointed towards a start in the $400,000 Oklahoma Derby (GIII) on Sept. 27 at Remington Park. Other probables for the one-mile Dogwood for 3-year-old fillies include Five D Thoroughbreds’ Kathballu, Stoneway Farm’s Ahh Chocolate, Bernard Schaeffer’s Heart’s Song, Glenmare Farm LLC’s I’m A Looker, Whitham Thoroughbreds, LLC’s Street Song, and Joseph Sutton’s Zeven. 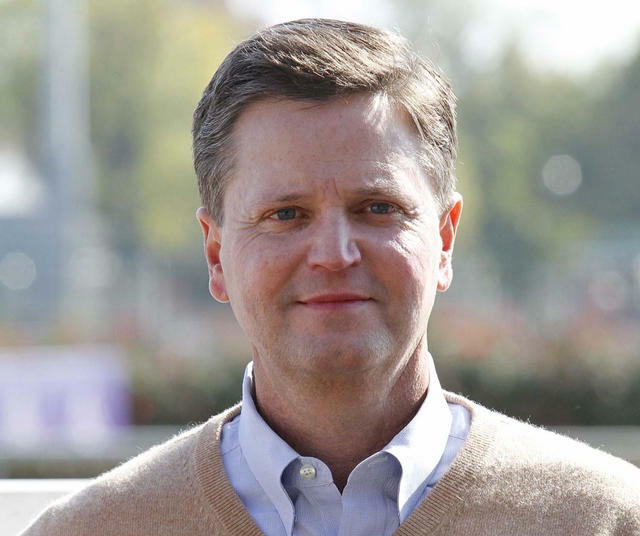 MCPEEK EYES BREEDERS’ CUP FOR TWO-YEAR-OLDS; FLASHY AMERICAN MAY NOT BE DONE YET – Trainer Kenny McPeek enjoyed a successful Saturday with a couple of his 2-year-olds. Dothraki Queen and Rated R Superstar put up solid efforts with a victory in the Pocahontas (GII) and a second-place finish in the Iroquois (GIII), respectively. The performances by both 2-year-olds have McPeek setting his sights on the Breeders’ Cup with possibly a start in between now and then. Also running for McPeek on Saturday was Preston Stables LLC’s Flashy American, who ran second behind Frivolous in the Locust Grove, and was racing while in foal to 2013 Kentucky Derby Presented by Yum! Brands (GI) winner Orb. McPeek previously stated that the Locust Grove would likely be the homebred daughter of Flashy Bull’s last race. Her retirement plans may get altered a bit as he is now thinking of starting the in-foal mare in the $500,000 Spinster (GI) on Oct. 4 at Keeneland. “We’ll discuss it more this week with the owners, but she may go in there,” he said. 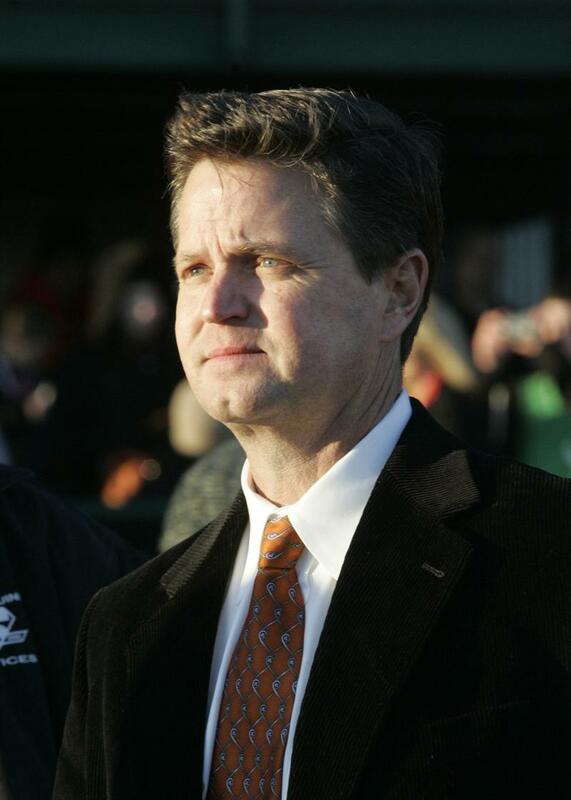 COX ENJOYING 100TH WIN AT CHURCHILL, DISCUSSES PLANS FOR CALL PAT – Trainer Brad Cox reflected on his 100th victory under the Twin Spires, which he scored in Saturday’s Open Mind Stakes with Sea Jay Racing LLC’s Spelling Again, which was only the trainer second stakes victory at Churchill. Cox found previous stakes success with Lloyd Schwing Racing LLC’s Ms. Anna Destiny in the 2013 Dream Supreme Overnight Stakes. Spelling Again re-rallied at the top of the stretch and beat a stubborn foe in Heykittykittykitty. The daughter of Awesome Again’s game effort was no shocker to her 35-year-old trainer. Cox entered Groupie Doll (GIII) winner Call Pat, in Saturday’s Locust Grove, but scratched out of the race that morning. Cox stated that the 5-year-old daughter of Lawyer Ron, who breezed s half-mile in :49.40 on Sunday morning, would likely make her next start in either the $400,000 Beldame (GI) on Sept. 26 at Belmont Park or the $500,000 Spinster (GI) on Oct. 4 at Keeneland. “Obviously those are some pretty ambitious spots but she’s really doing well and the timing would be great as far coming back in seven weeks goes,” he said. In addition to the Open Mind, Cox found more stakes success on Saturday when his 2-year-old Uncle Brennie won the Sunday Silence at Louisiana Downs. He said that the son of Uncle Mo would likely train up to the Breeders’ Cup Juvenile Turf (GI) on Oct. 30 at Keeneland. The 100th win capped off what was quite an eventful week for Cox, having welcomed his new son, Brodie Nowlin Cox, into the world on Monday as well as sealing up the Ellis Park training title on that same day, giving the trainer his first career training title. JOCKEYS BRIDGMOHAN, ESQUIVEL HAVE BIG DAY SATURDAY – It was a big day for jockeys Shaun Bridgmohan and Emmanuel Esquivel on Saturday afternoon, who combined to win seven races on the11-race card. Bridgmohan scored four victories: Sweet Bagg O Jo (Race 3; $8.40), Spelling Again (Race 5, Open Mind, $6.40), Bandwidth (Race 6; $7.80), and Smart Moon (Race 11, $8.80). Esquivel won three: Dave Hoeght (Race 4; $5.50), Silver Lining John (Race 7, $18.20), and Cocked and Loaded (Race 9, Iroquois, $21). The jockey’s agent, Jay Fedor, is appreciative of the opportunities given to them from some of Churchill’s best trainers. 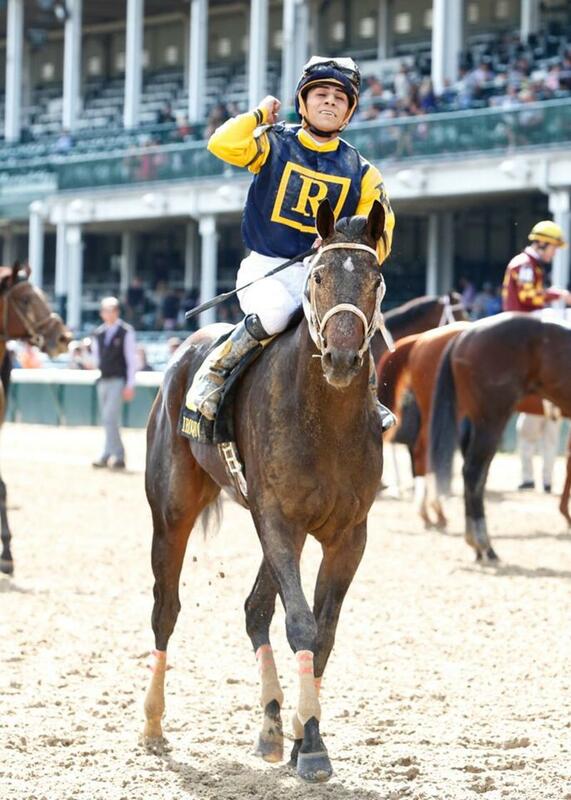 Esquivel, who regularly rides on the Illinois circuit, also was grateful for the big day he had on Saturday. COLBY HERNANDEZ INJURED FOLLOWING LAST RACE – Jockey Colby Hernandez reinjured his left collarbone when he was thrown from his mount, Raofthesun following Saturday’s final race, according to agent Anthony Martin. WORK TAB – Calumet Farm’s Mr. Z and Willis D. Horton’s Take Charge Brandi both worked a half-mile for Hall of Fame trainer D. Wayne Lukas on Sunday morning in :49.80 and :49, respectively. POST TIME CHANGED TO 3:30 P.M. FOR FIRST TWILIGHT THURSDAY TO AVOID CONFLICT WITH U OF L NATIONALLY-TELEVISED FOOTBALL GAME AGAINST CLEMSON – With the University of Louisville and Clemson scheduled to meet Thursday at 7:30 p.m. (all times Eastern) in a nationally-televised game on ESPN at nearby Papa John’s Cardinal Stadium, Churchill Downs has moved its post time that day from 5 p.m. to 3:30 p.m. so fans can enjoy the best of both worlds. Thursday’s last race is scheduled for 7:09 p.m.
DOWNS AFTER DARK SCHEDULED FOR SATURDAY NIGHT, THEME IS ‘SUMMER SUNSET’ – Presented by Stella Artois and Jack Daniel’s, special Downs After Downs nighttime racing will return on Saturday for “Summer Sunset” – a celebration of the final days of summer. Guests are encouraged to wear their favorite summer fashions for the 11-race program that begins at 6 p.m. (all times Eastern). Admission gates open Saturday at 5 p.m. General admission is $10. Reserved seat packages include a $69 ticket in the Courtyard, which will be an exclusive 21 and up area that includes draft beer and wine, small-plate style food and an official program. A VIP Winner’s Circle Suites upgrade that includes personal in-suite food and beverage service is available for groups of 12-18 at $99 per person. The final race of the evening is scheduled for 11:10 p.m.